Has your refund of money turned up in your account? People are telling us that all is well. If not, you can email support@crowdfunder.co.uk and copy me in to any communications. We have contacted Crowdfunder because we are aware that the refunds on project conclusion have not yet been recieved into accounts.This below from Jason Nuttall at Crowdfunder who has looked into this for us. 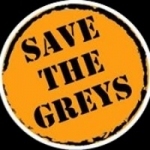 The Greys crowdfunder is now closed and they have scheduled the refund for 30th April. The crowdfunder site will be disappearing soon but remember that you can be on the email list by adding it here. The Greys is opening under the new folk on Friday 27th at 4pm. You will receive an email from crowdfunder after 4pm, saying that the project is unsuccessful. This is part of the closing of the project and the returning of money to investors and donators. It seems we cannot be told your contact details from crowdfunder. If you would like to remain part of this and find out what happens next then visit the webpage and add your email address. There may be special offers, we shall see!